The MRCI Thrift Store has won “Best Thrift Store,” for its mission to help those in our community that are disabled or disadvantaged. They provide cheap goods to those who shop at the store and allow those who donate to help the community. The shop provides a wide array of goods to the public. Its vast array of goods makes it stand out as there is something for everyone in this store. From hats and jewelry to movies, books, and furniture, this store has it all. They have aisles full of trinkets, knick-knacks, serving trays, plates, and so much more. One thing that makes this store perfect is its location. Located at 111 Sioux Road in Mankato, it is only a few miles from Minnesota State University, Mankato. 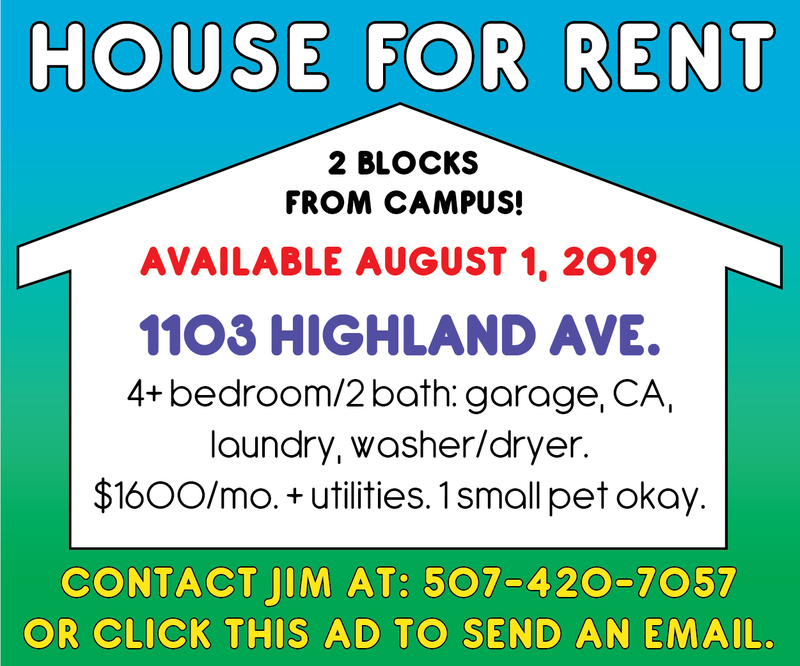 College students can come here to pick up cheap clothes, pots and pans, and other essentials to start off their lives in their new home away from home. Members of the community from all walks of life have come to this store to donate, shop, and volunteer. The children’s section is never empty, and typically has about two or three kids looking through the toys and stuffed animals while their parents shop for furniture, clothing, and everything else this shop has to offer. The store has something for every season with seasonal gifts and items for the upcoming holidays: Valentine’s Day, St. Patrick’s Day, and Easter. Their card section has an assortment of cards for birthdays, holidays, and “thinking of you,” messages for thirty cents. This is a steal for those who want to show their love to others without emptying their bank account. MRCI Thrift Store is a bargain hunter’s dream come true with everything listed at rock-bottom prices, while still providing a profit for the store to help the community. It allows for cheap entertainment, fun decorations, and new-to-you clothes that leave customers with a good feeling in their hearts and pockets when they step in the door. MRCI Thrift Store is always looking for new volunteers or donations. To sign up or donate, visit their website, http://www.mrcithriftshop.com/index.html where you can also shop online and browse their inventory. Their store hours are Monday, Wednesday and Friday from 9 a.m. To 6 p.m., Tuesday, Thursday and Saturday from 9 a.m. to 8 p.m., and Sundays from noon-5 p.m.